Swell Brewing Co prepares to open its new McLaren Vale taphouse; microbrewery boom inspires a crafty tour initiative; wine wiz Tyson Stelzer to host Adelaide Champagne dinner, and cool ice creams to beat the heat. Swell Brewing Co will be offering a sneak peek inside its new taphouse in McLaren Vale with a “pre-opening party” this long weekend. 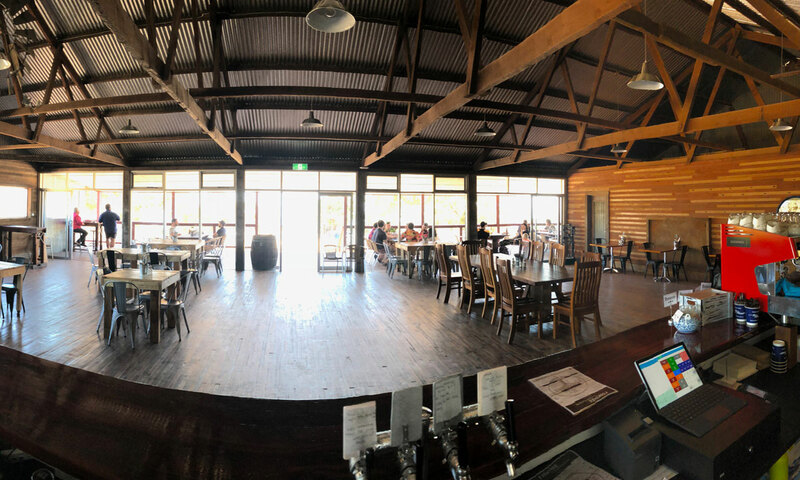 The venue is the latest in a string of craft beer breweries and cellar door / taphouse openings across the Fleurieu over the past 12 months, including Shifty Lizard and South Coast Brewery at Willunga, Forktree at Carrickalinga, and Victor’s Place at Old Noarlunga. Swell is owned by keen surfer Dan Wright and his winemaker wife Corrina Wright (of Oliver’s Taranga Vineyards), who originally began brewing in the back shed of their McLaren Vale vineyard. Corrina tells The Forager that they are currently awaiting final liquor licensing approval, but hope to officially open the new taphouse next month. Located on Olivers Road, just around the corner from Oliver’s Taranga Vineyards, it will include a cellar door and restaurant with capacity for at least 100 people, with plans for the brewery to be operational on site in another six months or so. Fleurieu chef Todd Steele, who currently works as a contract chef and makes the food for Oliver’s Taranga’s regular Porchetta Parties, will head up the kitchen. “It will be locally sourced food – delicious burgers and chicken wings and those kinds of things,” Corrina says. Steele will serve a “limited menu” at the pre-opening party, which Swell decided to host this Sunday and Monday following pressure from supporters keen to check out the new digs. “We are pretty much doing a pop up in our own digs – so things may not be quite finished perfectly – but you all demanded we open, so deal with it,” the brewery’s Facebook page advises. The page offers a taste of what to expect at the taphouse – including unique urinals. “We decided to get creative with our kegs,” says Corrina, adding that there are also other quirky design touches. “Some of the lighting is growlers that we’ve cut off, plus some keg lighting will be going in… and we’ve got a street artist coming in soon who will paint a big mural on the old shed that borders the lawns. The explosion of craft beer taphouses across the peninsula has inspired the launch this month of a new business offering microbrewery tours. While several operators offer tours that include craft beer cellar doors or breweries alongside other Fleurieu attractions, The Brew Bus’s Shaun Hill says he felt there was a gap in the market for specific brewery tours. Using a 12-seater bus, he is offering tours for groups of up to 11 people and will initially visit four venues: Forktree Brewing at Carrickalinga, Smiling Samoyed at Myponga, Shifty Lizard in Willunga, and Keg & Barrel at Port Noarlunga. “These microbreweries have been ultra-supportive about the whole thing … that support puts confidence in my idea,” Hill says. The all-inclusive tours will include a beer tasting paddle at each stop and lunch at Smiling Samoyed, with Hill seeking to offer an experience that is “a bit more refined” for craft beer lovers. While he has a day job as a mentor for apprentices, his partner (in life and business), Angela Bottrall, has worked in hospitality all her life. Hill says he also has strong personal and family connections with the Fleurieu Peninsula. Champagne isn’t just for Christmas – or New Year. In fact, matching different Champagnes with a range of foods is an excellent way to highlight their differences, says Sprout Cooking School managing director Themis Chryssidis. The Sprout Cooking School dining room. “We want to show people that it’s not just a drink you have to have at the start of the night as an aperitif or in the sun,” Chryssidis tells The Forager of Sprout’s planned Magnum Champagne Dinner on March 21. “We really want to showcase the differences within Champagne styles and houses. Champagne expert Tyson Stelzer – who has just spent five weeks travelling around the Champagne region of France doing research for his next book – will host the five-course, $299-a-head dinner and introduce each of the five Champagnes: Pol Roger Vintage Brut, Louis Roederer Brut Premier NV, Bollinger Special Cuvee NV, Pierre Gimonnet & Fils 1er Cru Fleuron Blanc de Blancs Brut 2009, and Veuve Fourny & Fils Blanc de Blancs Vertus Premier Cru Brut NV. The menu is still being finalised, but Chryssidis says it will include scallop carpaccio with green apple, hazelnut and parsnip remoulade, and confit salmon with salmon roe, tomato rouille and tapioca wafer. When the mercury climbs above 40, the only thing to do is eat ice cream, so inspired by Australian franchise Gelatissimo’s announcement this week that it has created a Bundaberg Ginger Beer Gelato, The Forager has been on the lookout for other new and unusual flavours. St Louis House of Fine Ice Cream and Dessert, which has five outlets across Adelaide and is planning to open a sixth in Rundle Street, has created an Iced Vovo Ice Cream which will be available from this Friday for a limited time. 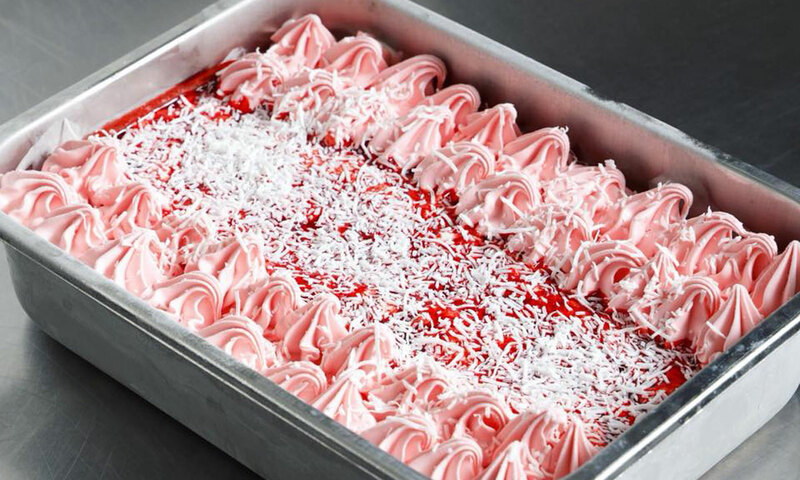 The pretty pink iced treat has a shortbread crumb base, vanilla ice cream, strawberry jam, strawberry ice cream and shredded coconut. St Louis House of Fine Ice Cream and Dessert’s Iced Vovo Ice Cream. Steven ter Horst Chocolatier does an excellent sideline in soft serve, with recent flavours ranging from French Earl Grey to a beetroot, ginger and apple sorbet. But the one that really piques our interest is the black sesame and matcha – apparently the biggest-selling flavour last September and brought back this month. Adelaide artisan gelato maker Gelista has also recently added a new flavour to its range which should appeal to lovers of both peanut butter and chocolate: Peanut Butter with Chocolate Swirl Gelati. Check out the website to see where you can find it. And opening this weekend at Henley Beach is new gelato shop Bottega Gelateria, which will be giving away free ice cream on Friday evening. Owner Adriano Macri tells CityMag all its flavours will be made from scratch and include ingredients such as fresh berries, raw hazelnuts from Italy and Riverland pecans.